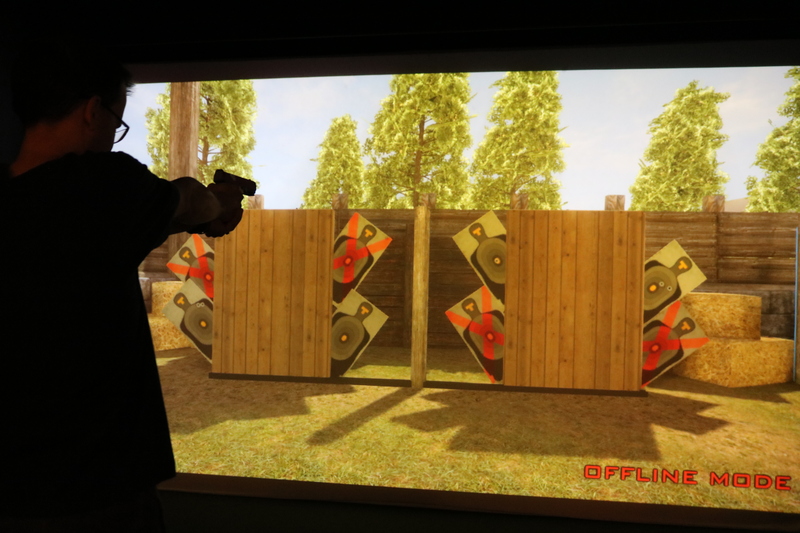 Stonehedge Indoor Golf is excited to partnered with Laser Shot to bring the FIRST virtual shooting range to Vermont! Our decision to use Laser Shot was easy… They are the global leader in creating realistic and immersive virtual shooting solutions that are enjoyable, unbelievably accurate and adaptable to anyone’s skill level and needs. 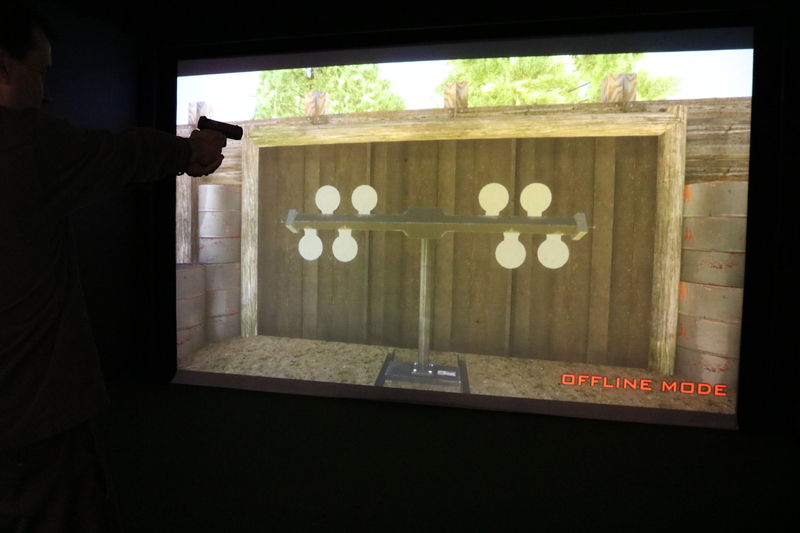 Using replica firearms, advanced laser technology and our existing 18’ simulator screens, our four (4) virtual shooting simulators provide a safe, unintimidating and entertaining experience for everyone – whether you’re someone looking for something fun to do over the weekend, a gun enthusiast interested in honing their skills, or even law enforcement personnel looking for a more cost-effective means of training. Stonehedge’s new virtual target range has you covered! And if all that trigger-pulling leaves you parched and hungry, Mulligan’s bar and grill will be serving up a full menu (including our famous chicken wings) and a wide variety of beer, wine, and non-alcoholic beverages all year round!